Don’t know if this is a cool new tool, just a curiosity, or a sign of the coming apocalypse. But this London-based startup company intends to help entrepreneurs design logos, websites and business cards instantly using their simplified web interface. BuildaBrand’s approach is essentially to break down the brand-building process into a simple step-by-step exercise. 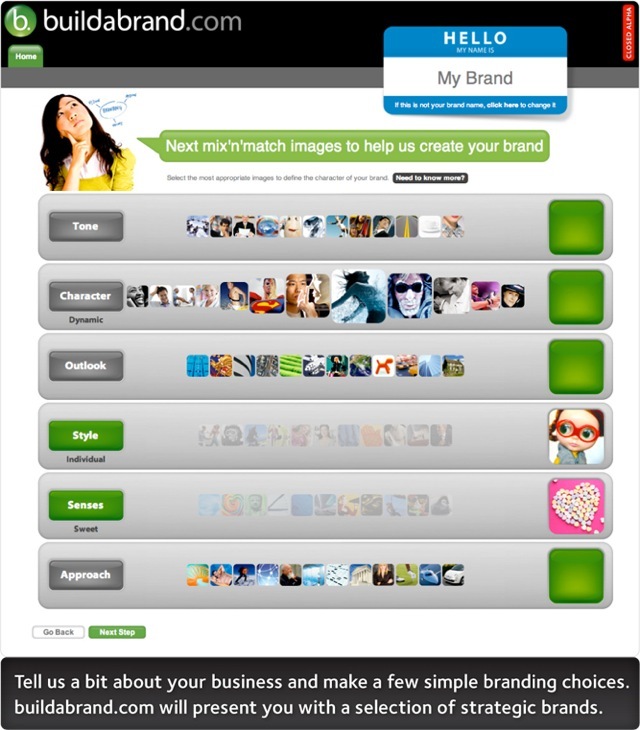 The user is asked questions about brand values, and then BuildaBrand’s proprietary algorithms provide a selection of logos, fonts, etc. that you can tweak to your heart’s content. And what does this say about the value of automation as a replacement for creative thinking? Intriguing. Scary. And I definitely signed up for their closed beta.